Thanks for checking out my DU Portfolio page! On left side I've got the basics of who I am as a scholar-coach, and on the right side there's some info about our Master of Arts in Sport Coaching degree program. You can reach me via email at brian.gearity@du.edu. Professors call their resume a curriculum vitae or CV. Scanning my CV will provide you with a bit of my life history as a professor, and as a coach prior to that. Click below to download my CV. I'm the founding and current Director of the Master of Arts in Sport Coaching degree program at DU. I came to DU in September, 2014 to begin the program. We're housed in the Graduate School of Professional Psychology (GSPP) because before I got here, the faculty in the Sport and Performance Psychology (SPP) program successfully proposed starting a new program in sport coaching. And voila, here we are! The SPP is led by rockstar faculty who have built a temendous international reputation for their work in applied sport and performance psychology and preparation of their students. I feel very fortunate to have arrived at DU and be able to work alongside such great colleagues and scholars in GSPP. My longest coaching role was as a strength and conditioning (S&C) coach for the University of Tennessee Men's Athletics, from 2001-2009, where I was the head baseball S&C coach and assisted with football, and at times, tennis and cheerleading. Prior to that, I played Division III football at John Carroll University in Cleveland, Ohio and also was a S&C coach intern with the Cleveland Indians from 1999-2001. Over the years, I've coached high school football, and a variety of youth sports including flag football, soccer, t-ball, and served as a speed coach for girls' gymnastics ages 6-16. More recently, I've started providing sport psychology consulting working with athletes and team on cardinal mental skills of performance such as arousal regulation, as well as diversity and inclusivity training. Check me out on Twitter, Instagram, and LinkedIn. I post the most on Twitter using #DUcoach. 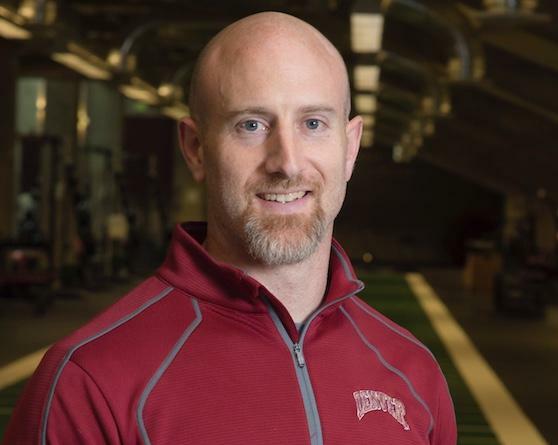 Click here if you want to learn more about the University of Denver's Master of Arts in Sport Coaching program. Check us out on social media and search for #DUcoach. Click below to see what our Sport Coaching students are up to. The MA in Sport Coaching program has been officially recognized for meeting the requirements set by the National Strength & Conditioning Association as a Graduate Level Applied Program.